I’ve neglected the ‘Empty Products’ posts for a while and decided this month to share with you the products I finish and if I like them or not accordingly. April and May has focused on smelling summery and hydrating my skin and my empties this month certainly reflect this attitude of mine. 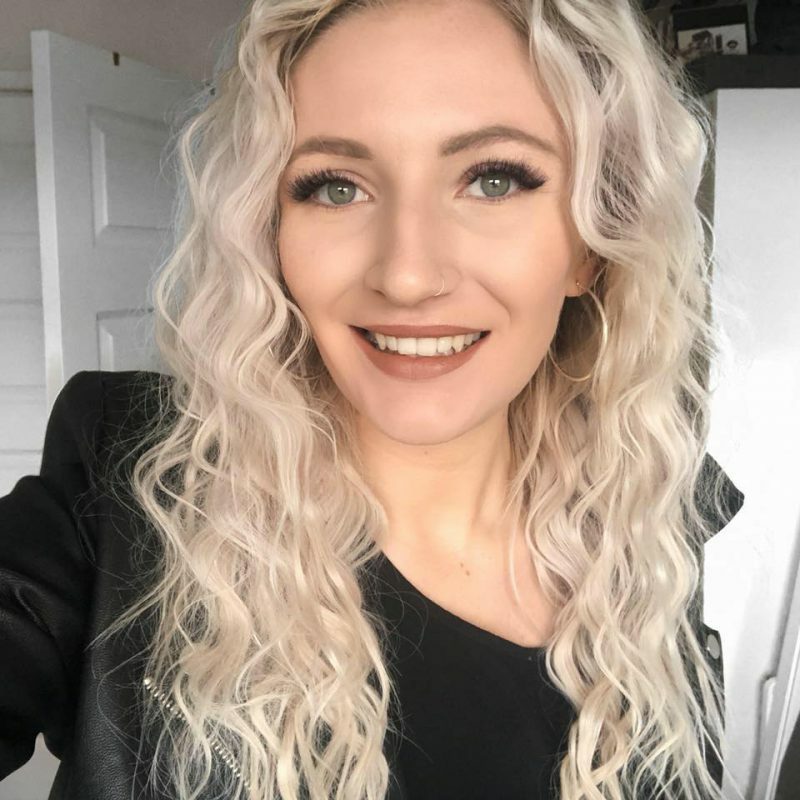 I have been testing out such a range of different products and hope you enjoy my post on what it is I’ve been using recently. 1. 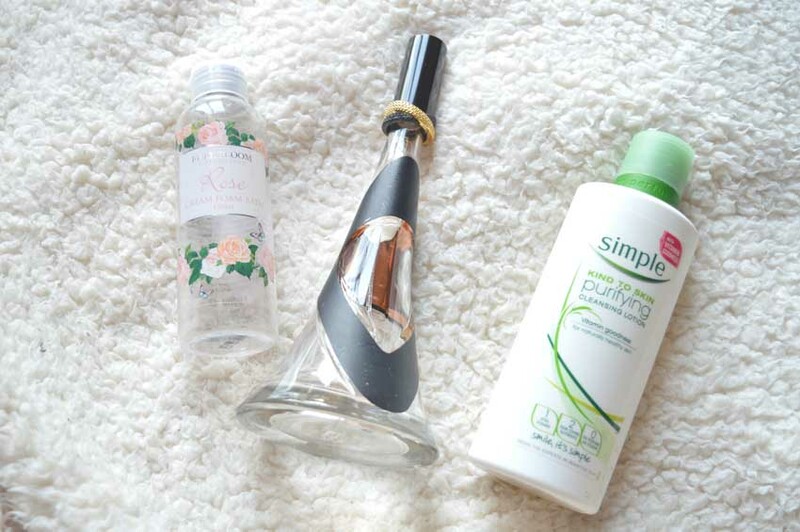 The Body Shop Satsuma Body Mist | I loved this body mist, the satsuma range is one of my favourite from The Body Shop; I have the body butter, the shower gel as well as the body mist and I can’t get enough. The smell is sweet and the orange notes are so strong but subtle enough for the day. I love it and definitely need to stock up on more. I have had this since October and the smell lasts a good few hours and I’m I love it. This is perfect for the spring/summer and I’ll be stocking up next time I’m in town. Body Shop, I love you. 2. 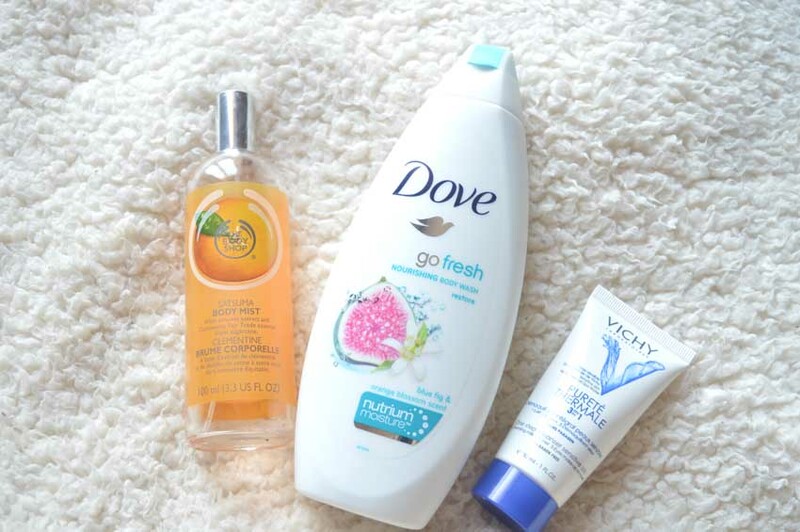 Dove Go Fresh Body Wash | I received a few Dove products for Christmas and I was overjoyed as their body wash is really gentle on my sensitive skin and smells beautiful. This Wild Fig and Orange Blossom scent was a great match with my Satsuma Body Mist. My skin felt really moisturised after use and I’m so happy I have another two ready to use now. Its milk like texture is really enjoyable, plus they’re inexpensive to replace when I’ve finished the rest in my collection. 3. Vichy 3 in 1 | Although this was only a sample, I loved using it. A cleansing milk, toner and eye make-up remover all in one is great for those without much time at night but want great results from a cleansing product. This was particularly great at lifting off stubborn mascara as well as making my skin feel extremely soft. I loved this, I got it in my Glamour Beauty Box here but will be investing in its full size version. 4. Full Bloom Rose Cream Foam Bath | I seem to be having so many baths recently and this soft rose cream bath was a fantastic companion. This makes loads of bubbles and helped me to de-stress after a busy day. The Full Bloom collection is something I had never tried before but I want to check out the rest of their bath collection. I love anything floral so I’d recommend this to anyone who enjoys a long soak in the bath. 5. Rihanna Reb’l Fleur Perfume | I’ve been using this perfume for years and it’s great. The scent is really gentle and feminine. This is my favourite of her collection and I have all of the others (if you’re going to support a brand, you have to do it properly!). I’m gutted it is empty but to repurchase a 100ml bottle is only around £20 so when pay day comes I will have to re-stock. The bottle is really elegant which looks great on your desk too – winner in my books. 6. Simple Cleansing Lotion | Simple skin care is fantastic and cleansing skin and keeping it looking incredibly healthy and hydrated. This is packed full of vitamins and minerals and is alcohol free and when the sun can try to dry out your face, this is great in ensuring your skin is clean and spot free. 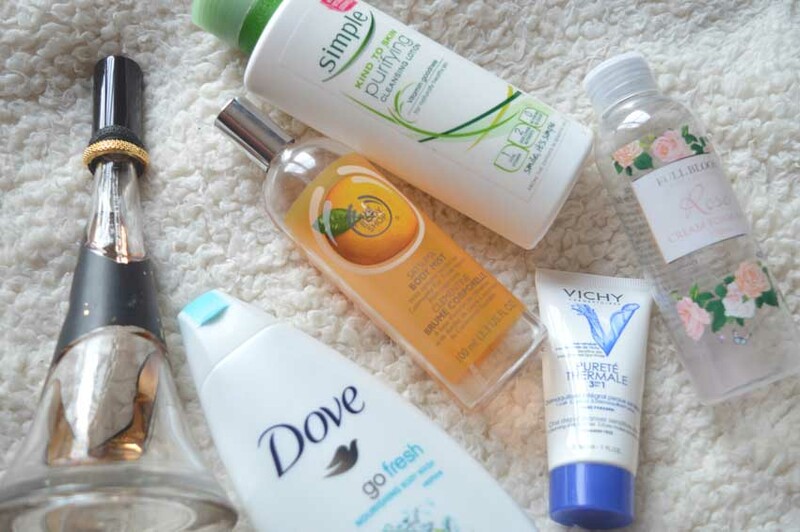 Have you been using any of these products or have any products you’ve been loving the past few months that you’ve already used up? Let me know, I love and read every comment!